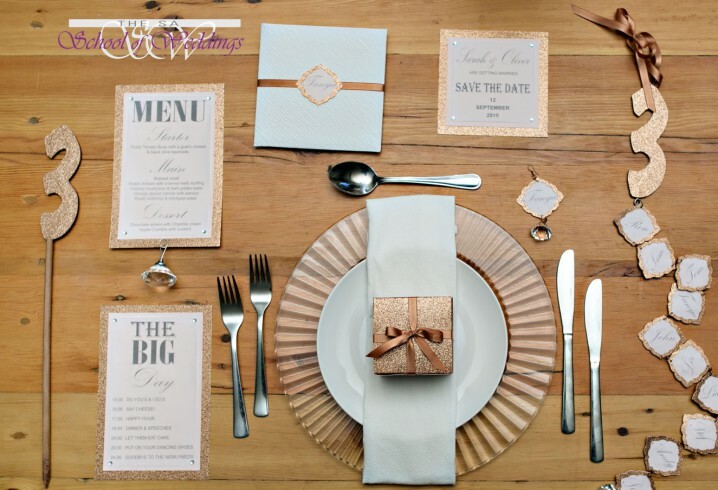 When you consider wedding stationery for your big day, you may feel like Alice in Wonderland. There are so many products and ideas to choose from. A guiding principle is to go with your gut feel (and your budget of course) and not to try and please anyone else – especially not your new mother-in-law! Your wedding stationery is one of the first ways for guests to glimpse the spirit of your special day. So, have some idea of what kind of event you are going for, and match that tone. Is it elegant or informal? Rustic, or the society wedding of the year? Classic in white, or Mexican-inspired? Personalised wedding stationery is one way to infuse your event with a quality that’s uniquely you. Buy handmade items, or make your own – they add a sense of care. Use a favourite or significant photograph of the two of you, and get creative with it. There are plenty of websites that show you how to design something unforgettable in a few easy steps, and if your talent overflows, sign up for our certificate course in event and wedding stationery! Perhaps there is a new career waiting for you after your wedding day. Correspondence wedding stationery includes the obvious like your invitations and thank you notes. You can also have fun with your save the date cards, rehearsal dinner invitations, and those for the hen’s night. Play with humour where appropriate. Hire a calligrapher to address your envelopes for a classy touch. Your on the day wedding stationery continues your theme. You’ll need a table plan and placecards and may want to create an individual wedding programme or menu that people will keep. Go with a unifying colour, design or meaningful logo, like your entwined initials. Readability is of course a central factor – avoid getting too fussy with aspects of your wedding stationery. Choose your words well, and feel free to follow the online guidelines available. Or maybe you want to freestyle it. Just make sure all the salient details are included.